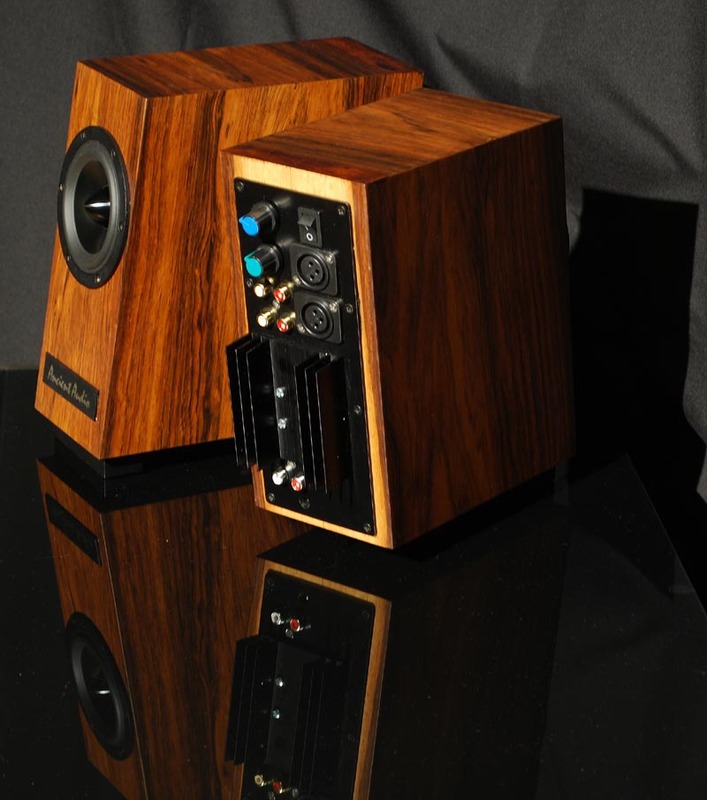 The company creations are not only looking good ,but what counts more on the end – they sound very good as well. Simplicity , fatigue less musicality, relaxing nature of the sound are most commonly quoted by hi-fi and music critics’ opinions. Please have a look at just a few latest ones we have spotted around the net. 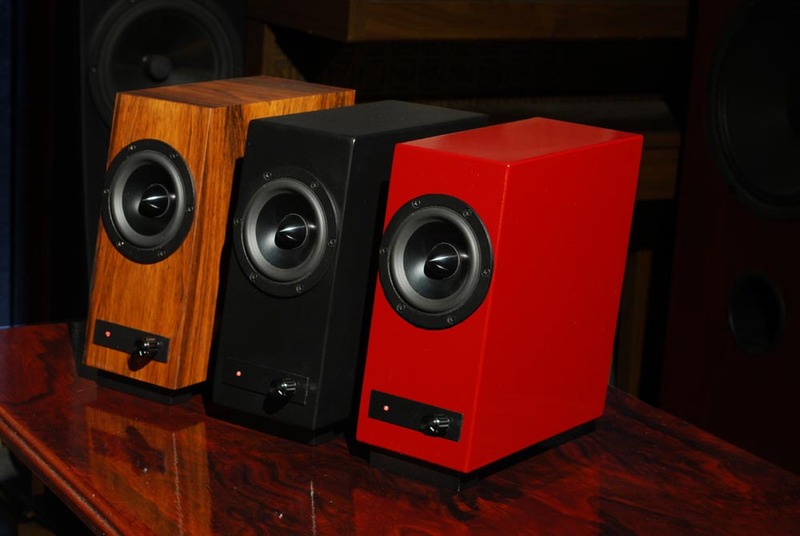 G Point – Audio is proud to ntroduce the new Oslo active loudspeakers from Ancient Audio. Oslo has a useful three inputs to deal with almost any permutation you care to throw at it and at its attractive price point is sure to be a huge success. Designed by chief designer and owner of Ancient Audio in Cracow Jaromir Waszczyszyn, the Oslo active loudspeaker has been deliberately designed to appeal to a wide range of users. With its two RCA inputs and one XLR input, the Oslo active loudspeaker allows for easy connection to ancillary equipment and the subwoofer out allows for simple connection to the subwoofer of your choice. A major feature of the new Oslo active loudspeaker is the separate volume controls for both the high frequencies and the low frequencies, meaning that users can tailor the speakers to their particular taste, their listening space or different genres of music. The Oslo active loudspeaker was the star of the show at a recent Cracow Sonic Society meeting where it was placed on top of a much larger pair of loudspeakers. The audience simply could not believe that they were listening to the Oslo active loudspeakers and not the much larger loudspeakers on which they were placed. The Oslo Active loudspeakers are available in the standard colour as Black but any finish you like can be ordered to match your home or office décor. With the growing demand for high quality desktop systems the Oslo active loudspeaker is sure to be a great hit, but is also ideal for style conscious music lovers who do not want the disruption of lots of separate boxes for their hi-fi or even for adding to an existing home cinema set up. The Oslo active loudspeaker is available from G Point-Audio at cost of £650 in standard finish and in any custom colour or venner selected.Some more exotic finishes available on demand,but availability have to be confirmed in advance. Welcome to all reading these words. As I noticed our “No Risk Policy” seems to be not understood by most of customers. I only believe that the reason for that is one: It is too good to be true. Well ,true – however this is exactly how it is like, even if it is hard to believe. We know that NO OTHER MANUFACTURER on the planet is doing it, but it still doesn’t stop us. 1. Customer can order any LampizatOr product to try and if he does not like it he has a right given to sent it back to us in a seven days period and get full refund for ,minus postal fees of course & any bank related fees regarding international money transfer of payment. Let me put it straight – no one ever did it so far. Stuff once sold became beloved and had always been kept by new happy owner. 2. In case of upgrade to higher model in LampizatOr DAC range ,our customers are safeand never loose a penny ,when trying to sell our product on second hand market. We always take it back as a part exchange for exactly the same amount of money which had been paid for it. This policy is valid one year from a purchase date. 3. All LampizatOr product are covered with 5 years warranty Show us any other manufacturer having such an offer today. You simply won’t be able ,as they do not exist. At least we do not know any. Hope that it is set up clear now here and without any questions. [ Absolutor preamplifier review is now published on Hi-fi Pig webzine ;-] Enjoy your reading ! Here is a design suggested – picture is an Auto Cad visualization ,so far. Here are some reviews of AA stuff sourced from different magazines/reviewers. Stay tuned as I keep watching and all I will find gonna be here soon to be read. 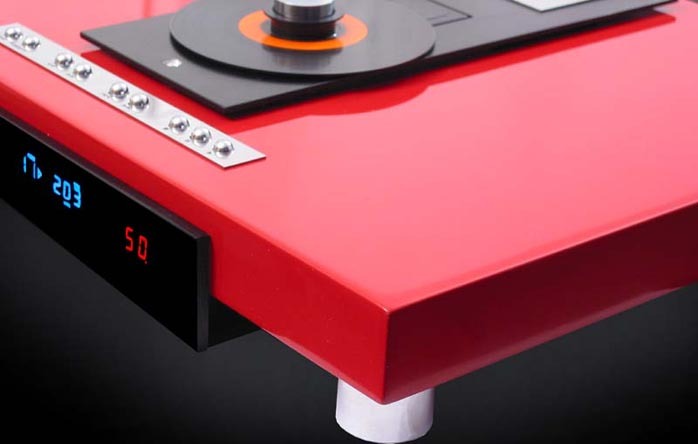 [ Latest LampizatOr Level 4 DAC review appeared on Matej Isak’s mono and stereo webzine ;-] Enjoy ! I like to point that the same DAC in full monty version is available for British listeners here at G Point – Audio for audition in our venue or as a loaner in YOUR own system. Please contact us to make an arrangement ,txs. around the world due to their radical design and unusual achievement with digital sources, as well as complete range of valve amplifiers and matching speakers,sharing the same design concept and being build from slabs of granit. Mr.Waszczyszyn ,the man behind the brand is well known for his vast interest in art and music particulary ,which he turned into his creations for : ” The Best Music Reproduction Quality I can make ” as he used to say. We are proud to announce that the newest Jaromir’s “child”, Lector VI CD Player will be soon available for audition in United Kingdom at G Point’s Audio listening venue.This successor of well known Lector V and Lector Prime players is the latest company goal sporting both – incredible beauty with extraordinary musicality. Our collection Ancient Audio page will be updated soon. As I have been asked about an IA -120 review a few of you tried to find ,but could not. that it was published few years back ,hence few changes apply to design,price ,etc….. I put this all between the [..] commas to set up all in our realities and make it up to date. Polish products are and always were the apple in my eye. From the first issue, which was released May 1, 2004, I tried to present in “High Fidelity” the most interesting appearances on our audio market. Let me remind you that we covered the MC-11 monitors there, and we gave a brief description of Ancient Audio Harmony speaker. The most important thing however was not just that the product was made in Poland, but it also was the best possible and highly competitive with imported units. Fortunately it is not so difficult at all. Experienced and talented engineers and designers – simply devoted to the sound – are present around in significant numbers. Design is not a problem. But implementing the product and going through all promotional process is.This is an extremely complex and difficult undertaking, requiring not only a good deal of money, but also determination and ability to take a risk and take a gamble. 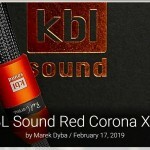 For all those reasons it hardly happens, but when it does, we are dealing with something what can not be ignored, and located near Wroclaw, Linear Audio Research is a perfect example of this. I know the company and its owner, Mr. Eugene Czyzewski, from their beginnings. At that time they operated under the name Orlik. When it became clear the name was already taken, the company converted to LAR, and moreover, it was a good move for them. Since then, and for seven years, I’ve tested almost all their products, praising, heralding and recommending how good they are; without even thinking about their origins, as it was clear to me that I am dealing here with true world class products. As often is the case with small businesses, LAR was not able to jump over a certain threshold in the initial period. They used to be a bit harsh – but unlike many Western devices, they stepped over the threshold and offered concrete, very interesting solutions. Since the company became a marriage of a respected artist and designer they managed to work out a new and attractive outlook with full respect for technical functionality. 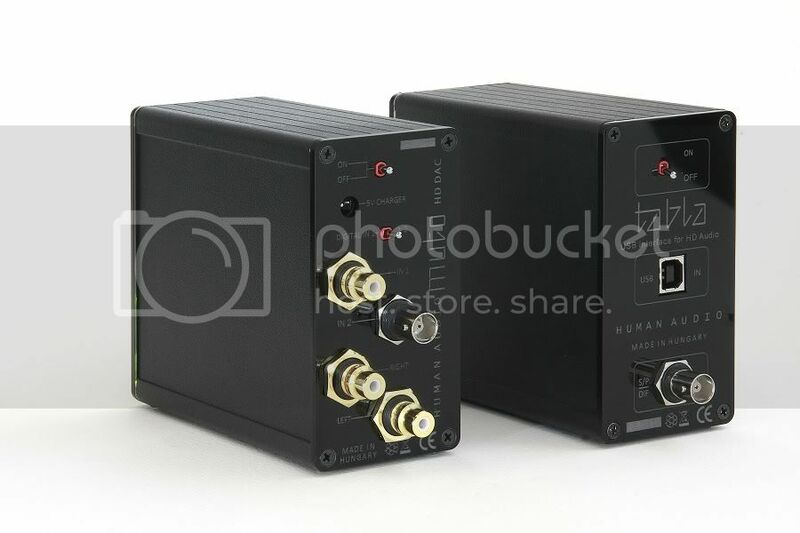 It took them out of the crowd filled with boring and W.A.F-less black boxes. It is no different with their latest product: The Integrated amplifier IA-120. This one is the first solid-state amplifier in the company’s history. Both the IA-45, and the Nazca were tube amps. Its front fascia is simple, but very interesting: It sports two round meters, VU-meters, resembling binoculars for stereoscopic images. The device is small, but the manufacturer claims a power output of 120W at 4 Ω. Housing is, as usual in the case of LAR, extremely robust and promises a long, trouble-free operation. This is the aftermath of Mr. Czyzewski long-term cooperation with military market needs and companies producing medical equipment – the places where reliability is a must. Hence the almost fanatical devotion to personal safety and quality. 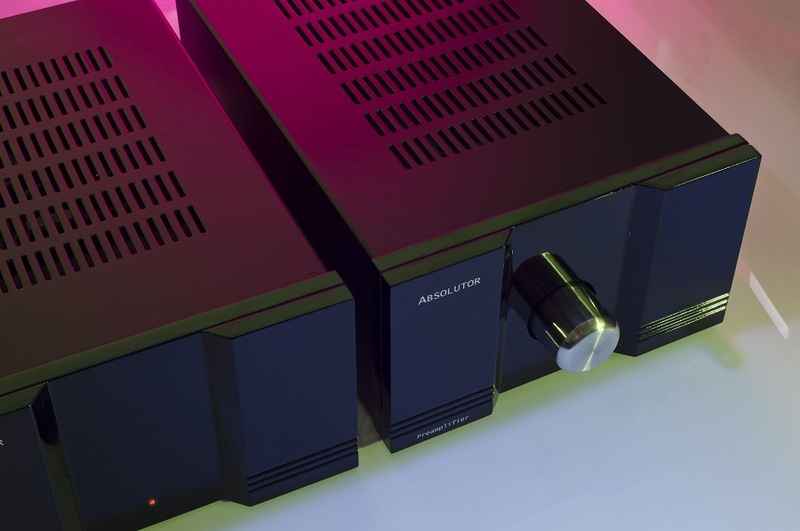 The amplifier also boasts a good number of features which atest to its audiophile credentials. The construction is fully dual-mono, with separate transformers for each channel. Regarding all these qualities – the price is a real hit – 4880 PLN [ in 2010, now unit is offered as a hybrid with valve based preamp section ,but for die hard SS fans one without can be obtained on demand ; ad: Gpoint-audio ] which puts it in a very favourable position with regards foreign competition, which quite often is not on a par with regards quality and, due to changing currency rates, more expensive. LAR-amplifier from very beginning surprised me with something unusual – for such a relatively inexpensive device not to mention a transistor based unit – the colour palette offered was stunning. For the first few records I could not really determie how it differed from my reference units: [Ayon Polaris II preamp and Luxman M-800A power amplifier combo]. 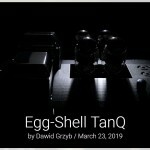 I knew it was not the same device, but the ability to present tonal richness in a similar way to the much more expensive reference was so unusual that I could not get really stop listening and go to the analysis. The first I thought was it is “dark”. But dark in such a way as for example K2, K2HD,and XRCD recordings are. With good, expensive equipment it is similar as when we go to concerts (a completely different world, but in some way related to each other). We know that, what we believe sounds a tad darker in fact is a “real” sound, lacking distortions and edginess. The same applies to feeling an attack on the strings as “soft” which is not in fact softening of any kind, but the natural way the signal rises without ringing and without rigidity. And this is in large part how the LAR sounds. Without knowing the designer himself and other equipment the company supplied I could risk to say that it is in some way a reference to the valve school. And this was possibly the goal, as I see that clearly Mr. Czyzewski tried to preserve the delicate balance between the foundation of the sound and higher harmonics – the coherence of the whole signal which valves are so famous for. After more time with the amplifier it becomes clear that it is ultimately not a device from tens of thousands dollars league, but by the end of listening nothing really disturbed a noble taste which came after the first listening. Contrary to what one might think, this is not a device which immediately puts you on your knees in a short demo in a crowded store. To appreciate what you hear and experience the true soul of the unit advanced listening sessions are needed. Sorry to all for that superior sounding tone , which can be dragged out of my speech., but I am 100 percent sure that the bigger one’s live music experience is, the more one will be able to find the live experience when listening. And I refer to “experience” and “familiarity”, because to this point, which is the IA-120 itself , it comes to those who are capable to chill out and notice this audio device is more than just hi-fi. Also in his case, you need to try playing it with various speakers to find the best. Same applies to the K2 recordings I already mentioned. When we compare them with conventional pressing, or even with the SHM-CD, it turns out that although, if at first glance, they seem to be not that open, the latter did not have such a perfect sonority. 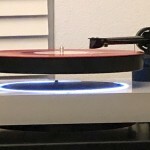 They do say more about music and are closer to what one can hear from vinyl, which is for now still the best reminder of the master tapes available in commercial medium. 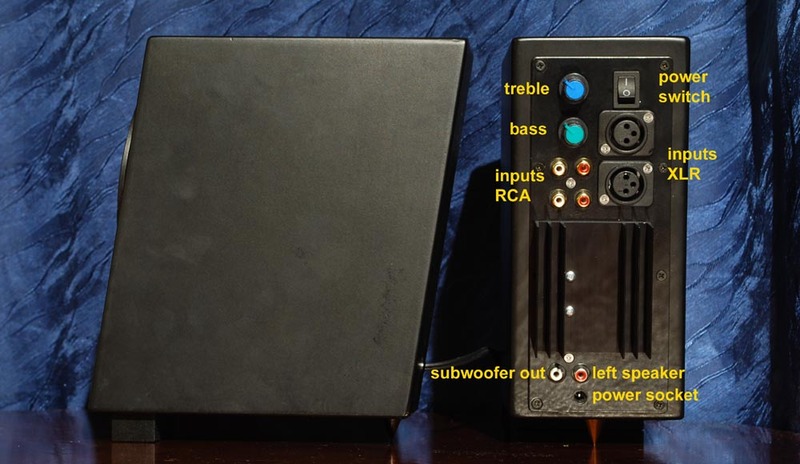 The LAR-amplifier is exactly like that. Jazz recordings from 50-70 era, had been registered with slightly restricted heights, however they posses incredibly rich decays, harmonics, thick and internal consistency. This amplifier from Wroclaw let them express these special features and hardly missing any of them. For example really beautifully played piano from Wynton Kelly’s ‘Kelly Blue’ was slightly “smoky” – such registration – but it filled a dialogue with Bobby Jaspar’s flute perfectly, keeping the right balance of this musical conversation. The same was with the wonderful Chet Baker trumpet’s from ‘Piece’ CD reissue (everyone should have it! Is available on CD Japan) which had a nice grip and great colour transparency. The amplifier is not the one to flash your eyes straight on, but slowly, consistently building a mood, depending on the music it is dealing with. If I wanted to put a statement regarding its tonal balance, I would say that it is based on a strongly built mid range image, supported by thick and tonally matching upper bass register. It was particularly easy to hear on Chris Connor’s ‘C.C Sings Ballads of Sad Cafe’ as well as on Benny Green’s ‘Walkin ‘& Talkin’’ ,where both vocal and trombone articulation had been set up a bit on the dark side and bass line contribution were more clearly „visible” to that which i was accustomed to. This finding had been confirmed immediately after listening to the groundbreaking album „Salzau Music On The Water” by Danielsson / Dell / Landgren trio, where we have got an incredibly natural bass. In fact there is more similarities on both compact discs in terms of impact and slightly diffused decays. There is a perfect sense of „presence” without any feeling of weakness or unnatural contour being given to the sound. Really cool! LAR showed its class with no shame. The lower range was slightly stronger than my reference set up presented, but without a shadow of being overblown. And then I felt an illumination coming! Damn me if I had not heard something similar before ? Yes, in Pass Labs’ INT-150 amplifier. Both devices sharing lots of character and the overall sound edge. The way they solve problems is giving me a feeling that the designers seem to have a similar taste . The American amplifier is however built larger, more expansive soundstage and individual instruments were slightly “boosted”. His bass also seems to be larger. However, it is slightly less resolved, and not as equal and quick as LAR’s one. The latter is a little more tonally balanced as well as it does not pump the midrange up to blow up images. With large speakers, like my Harpia Acoustics’ Dobermann IA-120, sometimes they can slightly extend the lowest fq resonance. It is nothing that can be heard with an acoustic double bass, but with electronics, like on Thom Yorke’s „ Eraser” or Depeche Mode’s „Abroken Frame” the impulse was cut off more quickly and more accurately with Ayon/Luxman combo. Pass tend to have more delay too, but there it was covered by middle bass thickening, which puts more attention on saturation and”vitality”. Here, the bass is conducted in a more natural manner, and although it is slightly bigger, it is not so much as the American amp is, so it can be heard clearly. The area where it looses more compared to the reference source, (not the Pass however and only a little to Belles maybe), is in the image size and intensity of the virtual sources. They are a little further back with LAR than they are with both Americans. It is specially easy to spot when listening to the Danielsson recording, due to the fact in terms of “tangibility” it is such a splendid recording. The IA-120 slightly withdraws the saxes to the back and did not let vibes get fully open. I guess it is associated with the slightly recessed highs, but also due to the slightly smoothed dynamics (please note that what I’m talking about here is when it compared to my reference and amplifiers costing four times as much as the amplifier we are reviewing. In its own price range ,or even double or triple it is absolutely perfect amp). The latter requires connection to rather open and vital speakers or source such as the Ayon CD-1s or Meridian G06. After connecting LAR to the brilliant Spendor A6 speakers the overall feeling of warm on the top of the range became slightly overloaded. Speakers like Polish Harpies, ESA, Akustyk or British Monitor Audio or ProAC are perfect partners for it. I mentioned those manufacturers on purpose – these are the ones which put measurements on a pedestal and are tuned in a strictly engineering manner just a the LAR is and it comes as no surprise that they like each other. 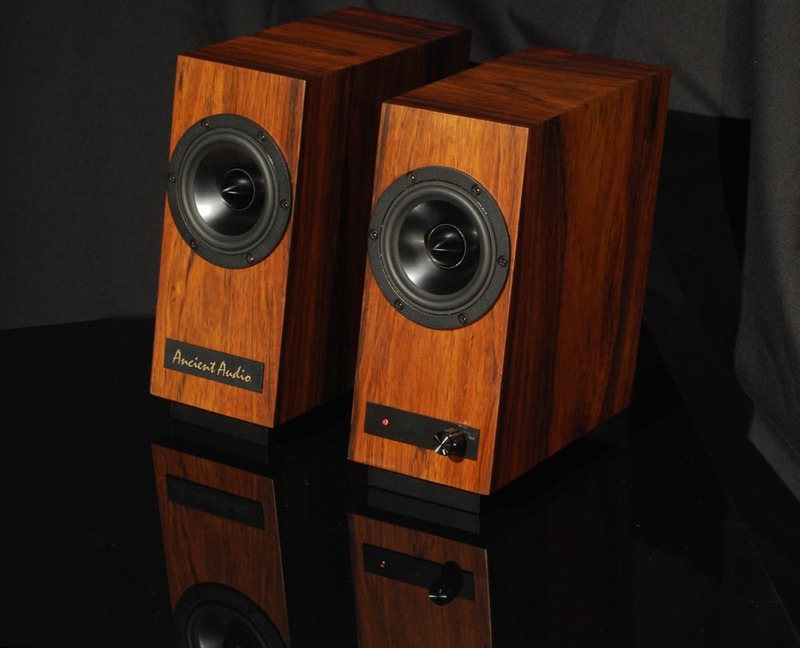 Regarding the LAR/Spendor A6 matching I need to mention one thing: That marriage resulted in very sublime, super-nice balanced sound in the midrange. After some time I revisited this configuration, but changed the source to Cambridge Audio Azur 840C CDP and cables to Chord. Then I got a very balanced overall sound. Heights were still gently recessed, but what a tonal quality it was! You can take my word for that it is finished and complete system for years. And that’s the rule of that game – to listen to the music with best stuff one can afford and with never ending joy and satisfaction. With one of these things missing full enjoyment can not be obtained. 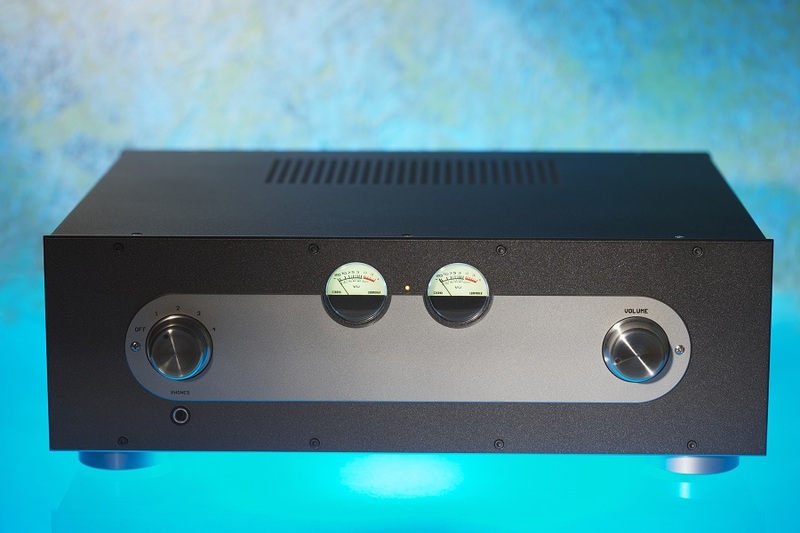 The LAR is a great amp with a distinct “personality” and just a few disadvantages. Ranked against much more expensive competition, however it looks great and only thing I was missing was a remote. [ again this issue has been rectified and now comes as standard ad: Gpoint audio ] Its sound is tasteful and „mature” if I may say so. This is well established circuit which had „seen” no one change only. It went through trial periods and finally survived in its current incarnation for only one reason – fulfilling its designers expectations! 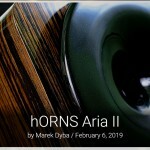 Although its tonal balance resembles valve amplifiers from similar price level it beats them easily – it’s a complete surprise – but it has much better abilities than them to show a full colour palette and has a more sophisticated tonal balance. High registers are gently restricted towards the treble, but it is carried out smoothly, without deviation and inequality. The device is build like a tank that confirms the designer ‘s experience with the highly demanding military market. It would be good if more audiophile equipment combined the ethos of pro-and-phile. Then we would all be healthier. The interior of the amplifier is extremely intersting. First all can see an unusual order. 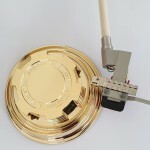 The preamplifier is mounted on one plate, soldered to the RCA jack. This is the same, at least it looks like, shallow, as in the IA-45, which was a hybrid amplifier. Switches are fantastic contactron units (same used e.g.in McIntosh machines) probably the best money can buy. The signal is amplified by Burr-Brown OPA2604 chip, one per channel. They put them in stands, so one can substitute and try some other models in the amp. On the same PCB there is a power supply section, separate for each channel. Because IA-120 has dual mono construction – from beginning to end. The signal then is supplied from the preamp to the Alps pot (in malachite colour, without a motor) by shielded cable, and next to the output stages. These are assembled on separate PCB’s, with only discrete components use. Output transistors, along with a driver ones are screwed to the heat sinks. Latter ones, operating in push-pull, class AB, are the HEXFET type IRFP9240 + IRFP240. Resistors are precise, metallic, and – very the few capacitors present are all polypropylene (EVOX and Wima). The best however is the power supply. It uses two large toroidal transformers, one per channel, canned and vertically attached to the sides of inner walls. Voltages are filtered in four (two per channel) capacitors with a total capacity of 10 000 uF each. Voltage of IEC mains socket is filtered in a big Pi type filter. All connecting points are realised on PCB mounted wire sockets without soldering points.